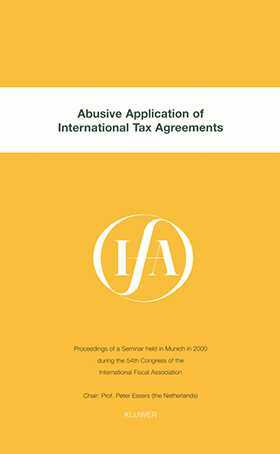 Using case studies, this seminar attempts to clarify the concept of abusive application of tax treaties and whether the concept of abuse is a domestic one or one of treaty law. To the extent that the concept of abuse is a purely domestic one, the question arises how domestic anti-avoidance rules affect double taxation conventions and to what extent one contracting state, for the purpose of taxation, should be prepared to consider the other contracting state's notion of abuse. To the extent that the concept of abuse is one of treaty law, it has to be clarified whether such a concept is known in Treaty law as an unwritten rule or whether the treaties need to include an express provision. Another important question in this respect is whether abusive use of tax treaties by contracting states is possible, e.g. by denying the access to the treaty or by implementing exit charges in the national legislation. What is or can be the role of the OECD in this process and to what extent does EC law innuence the way abuse of tax treaties can be tackled?